Source: Why is Good Friday good? Diptych (noun) A painting, especially an altarpiece, on two hinged wooden panels which may be closed like a book. Ingenious. Curators, Philip Cheah and Teo Swee Leng, together with the Gallery’s lovely film programmer, Pauline Soh, have lifted film beyond film. 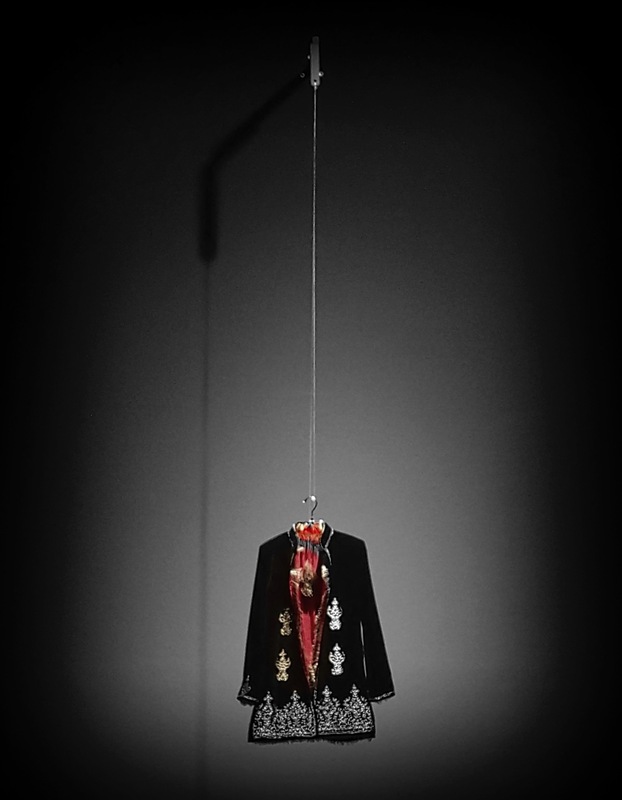 The Gallery has a film series called Painting with Light: Southeast Asian Film Series. Why do I say “beyond film” and called this post “Diptych of Film”? “Painting with Light” is held over the first weekend of every month – Saturday and Sunday. Two films – diptych – paired very deliberately over the weekend. I guess much like how a gourmand pairs food, wine, table setting, etc. to enhance the entire dining experience. Philip is obviously passionate about film – specifically Asian film. I admire a person with passion, focus and actually doing something. Read about him here. The first two films were screened on 5th and 6th of March. I watched both of them. One movie is from the past (Saturday), the other from the present (Sunday). Both films are from the same national cinema and explore the same subject matter, but at different periods and different settings. The first two were Singaporean directors, the next instalment, Filipino, followed by Vietnamese and then Burmese. The inaugural edition of Painting with Light pairs a classic and a contemporary film from a national cinema in Southeast Asia each month. An older classic that addresses an important issue of its time will be screened on the Saturday, followed by a more recent film with a contemporary view on the same subject on the Sunday. The first two movies were about being displaced from home. But I saw another theme in both movies – the tension between morality and love. In both movies the main players had to make morally tough decisions balancing love and doing the right thing. What I really liked about the first pair is that not only did I enjoy the movies individually but also as I watched the pair, it made me reflect on how love, duty, morality and societal pressures have changed. In my worldview, morality and love should be absolute and unchanging. But that’s me. I tend to think about these things a lot. I had the honour of meeting the curator too – a very unassuming gentleman. But if the first pair is anything to go by, the rest of the programme should be brilliant. Looking forward to the rest. Go. Tickets here. My last read was chilling, sobering, illuminating and perspective setting. It really puts ‪#‎firstworldproblems‬ into context. The images… oh boy, the images. Before I write about the book, let me give you some personal context. I wanted to read the book out of general interest but also to get a better insight of what happened to my parents’ generation. My father personally experienced the partition of India and Pakistan in 1947. In a nutshell (as this is not a history lesson or a political discourse but a book review with context) it was the British authorities’ decision to split the British Indian Empire into the sovereign states of the Dominion of Pakistan (which later split into Pakistan and Bangladesh) and the Union of India (later Republic of India). Broadly, the partition was to divide colonial India into a state for the Hindus (India) and a state for the Muslims (Pakistan). But that is a very broad simplification. It affected Sikhs, Bengalis and even the small dialect group of the Sindhis in different degrees. My family are Sindhis from the Hindu stock (I have since adopted Christianity as my religion and that is another story). My dad came from a wealthy family in Karachi (now in Pakistan). As Hindu Sindhis, the family had to leave *everything* as refugees and make their way across to India. Most of Sindh’s prosperous middle class at the time of Partition of India and Pakistan were Hindu. There were an estimated 1,400,000 Hindu Sindhis, most of them concentrated in the cities of Hyderabad, Karachi, Shikarpur, and Sukkur. According to the 1951 census of India, nearly 776,000 Sindhi Hindus (more than half) fled to India. Initially it seemed that the Hindu Sindhis could stay and live peacefully with their Muslim brothers. However, the Hindu Sindhis were forced to leave their homes and everything they owned behind because of communal rioting and a threat to their lives. 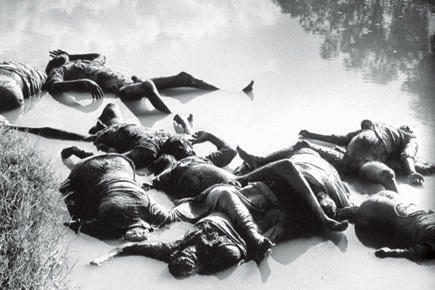 Most anti-Hindu violence in Sindh was precipitated by the arrival of Muslim refugees from India. 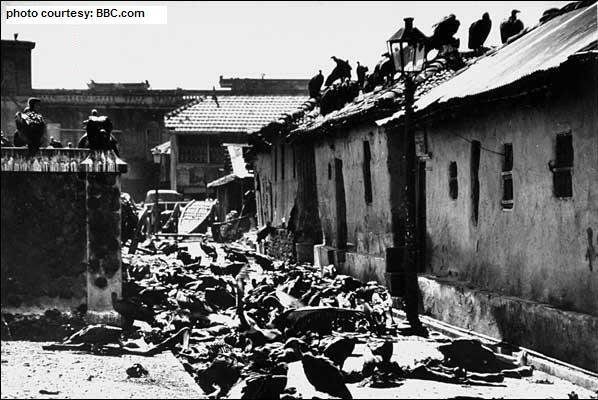 The local Muslims, who had lived peacefully with the Sindhis did not support the violence. But the Hindu Sindhis had to leave or potentially face death. As a result, The Hindu Sindhis left as penniless refugees to cross barren lands into India in search of rehabitation. It’s no wonder the Sindhis are now found successfully surviving, and in many cases, thriving, all over the world. Forced into diaspora, but unlike the Jews, the Sindhis have no real “homeland” to return to. Context done. Back to the book. 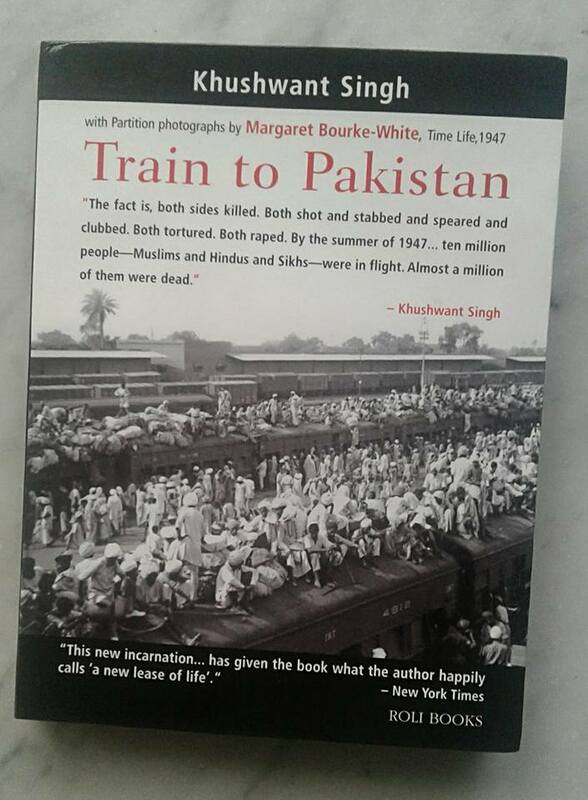 Train to Pakistan is a historical fiction that attempts to humanise the anguish of the people who experienced the Partition. The book is set in Mano Majra, the fictional village on the border of Pakistan and India. Although the major change was political due to Britain’s splitting of India into Hindu India and Muslim Pakistan, the author did not write this to be a political narrative. Rather, it takes a fictitious small village and paints the picture of the realities of the Partition to everyday people. The human effects of the political change were very real. In the book, Singh shows how religious groups who had lived peacefully with one another rearranged loyalties and clashed violently (and often fatally). The author does not take sides and makes it clear that many personalities played a part in the chaos of partition and many were equally worthy of blame. He stays away, and rightly so in my view, from blaming any particular group. 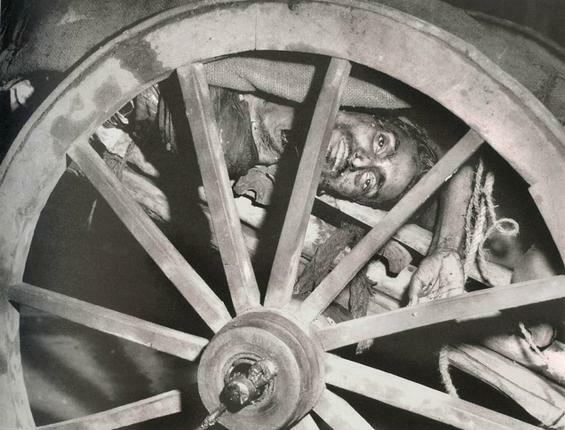 The book is chillingly juxtaposed against real life photos taken during the partition by Margaret Bourke-White. Here are some of the images (PG Guidance advised). Vultures picking on dead bodies. Be thankful for what we have. Is it worth a read? Yep. This is one of my favourite tracks by David Bowie. David Bowie passed away today. Thank you for the music. You pushed personal boundaries and in the process you pushed the boundaries of the industry. You are a legend. Rest in peace.